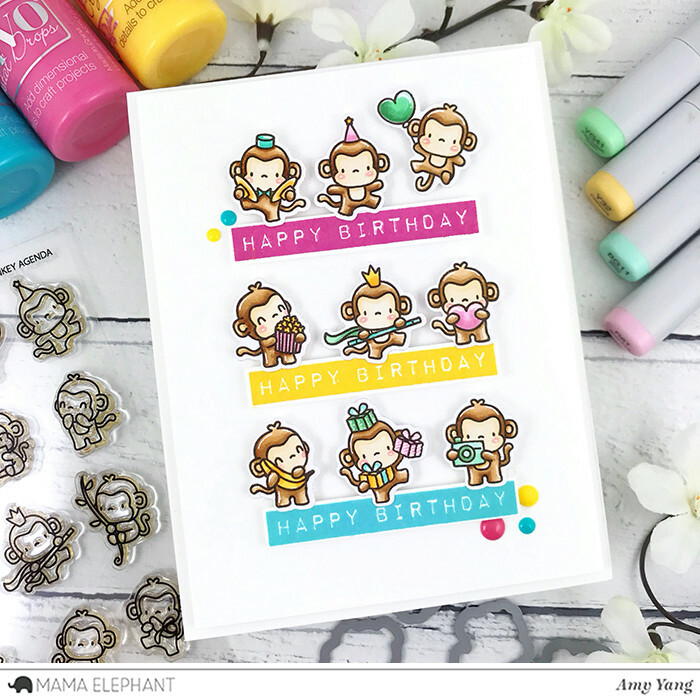 Today is the first day of our April's Stamp Highlights and we are starting with the Little Monkey Agenda stamp set! Perhaps it is because these little monkeys can't seem to stay still! ;) The team had so much fun with them! Amy used the birthday sentiment from Labeled Messages stamp set to makes this cute card! We love the different scenes Pamela created with our little monkeys! Here is a friendship card by Vera. She combined the Window Frame from Peek a Frame Creative Cuts with the Hello Friend Script Creative Cuts. Laura trimmed down the Grid Window-Creative Cuts to frame her cute monkeys including a sentiment from Little Agenda Frames. 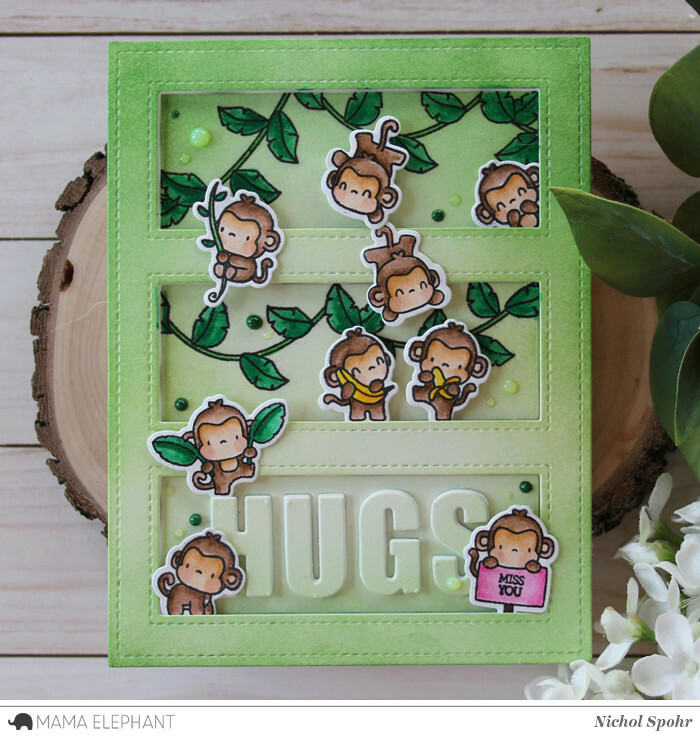 Nichol created a jungle scene with Little Monkey Agenda friends, Swinging Borders, and framed it all up with the Tri Window Creative Cuts Die frame. These are all adorable! 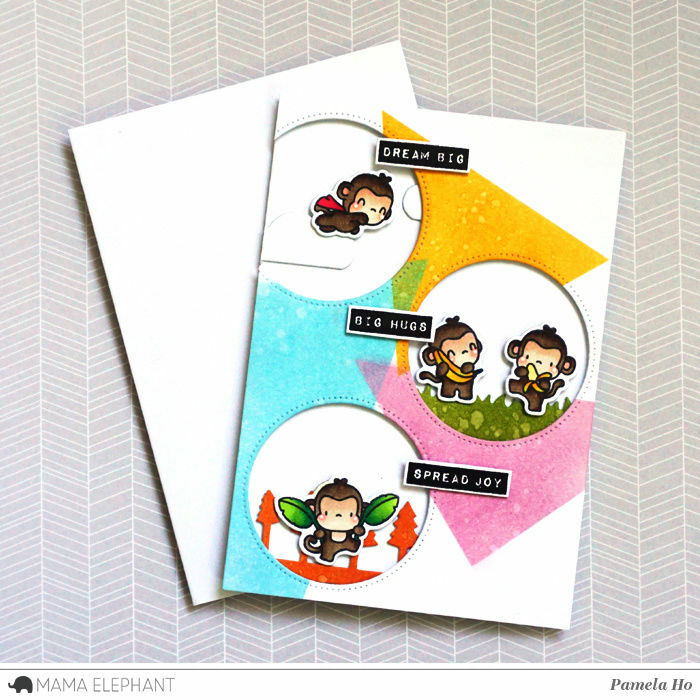 The monkeys are such a fun addition to the Little Agenda collection. So cute. I love these darling images. Your cards are so sweet. Love all the super cute creations! Super ADORABLE!!!! Love these monkeys!!! !